The holiday selling season is winding down and I’m sure you are, like me, looking forward to spending some down time with your family during the second half of this month. Since it’s only the middle of December, you still have plenty of time to focus on January bookings so you step into the new year with a strong business. Here are my best arguments for getting out there and getting bookings now. Think about it. There are no real holidays to celebrate in January. People are coming off of the letdown of the biggest holiday season of the year and what do they have to look forward to? A long, cold, dark month! If you’re making phone calls to book home parties, offer them something to look forward to with some fun themes. Remind them that your parties are all about fun and connection. Just like in September, January is a great time for moms to take an evening and do something just for themselves. Think about how much the average woman does for other people from Thanksgiving through the Monday their kids go back to school after the holiday weekend. A break is overdue for you and your women friends and you can capitalize on that to book parties as an excuse for a girl’s night out. 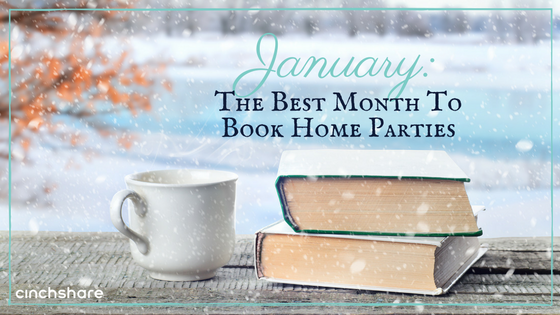 Because January is historically a slower month for direct sellers, chances are good your company is offering some awesome hostess incentives to help you book parties. During this time of year, your corporate office tends to “give away the store” and you can certainly take advantage of that to get more parties on your schedule. I hear often that “people don’t have any money in January.” If that’s the case, invite them to book a party to earn the items on their wish list. If they tell you their friends are all broke, let them know that your parties aren’t about asking people to come to your house and spend money. They’re about a chance to get together and have some fun. Focus on that and you’ll most likely find that your host didn’t know her friends’ financial situation as well as she thought she did (and lots of them will find a way to order something from you). This is not just for you, but for the majority of the people you’ll meet at your parties, your hosts, etc. And wouldn’t an extra $500.00 – $1000.00 each month come in handy to pay those bills? I found, during this time of the year, people were very open to learning about how to earn some extra income and my sponsoring numbers soared. I planned an opportunity event every January so I had an event to which I could invite people who were interested. Even if only five people actually show up and you only sponsor two, would that really be so bad? Hopefully you’re inspired now to get yourself moving and get some parties on your calendar prior to the end of the year. 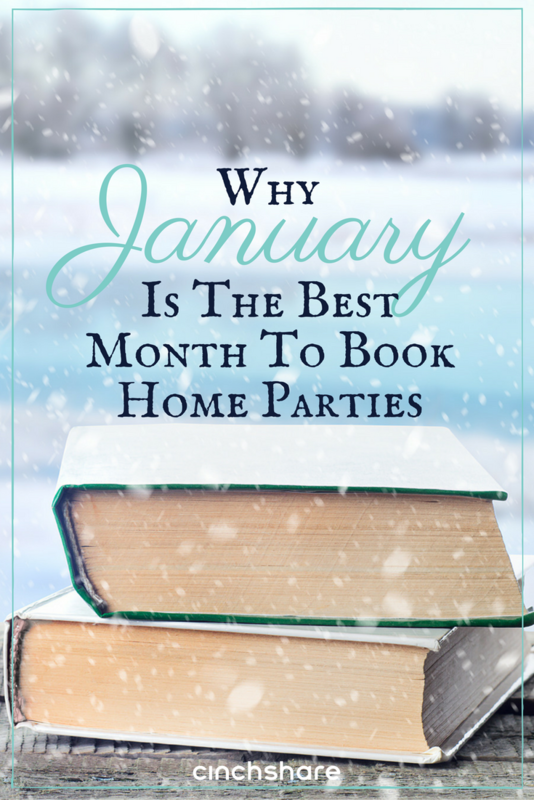 Even if you only book a few at the beginning of the month, January is a long month and you’ve got plenty of time to book home parties from those parties so your business takes off in 2017.